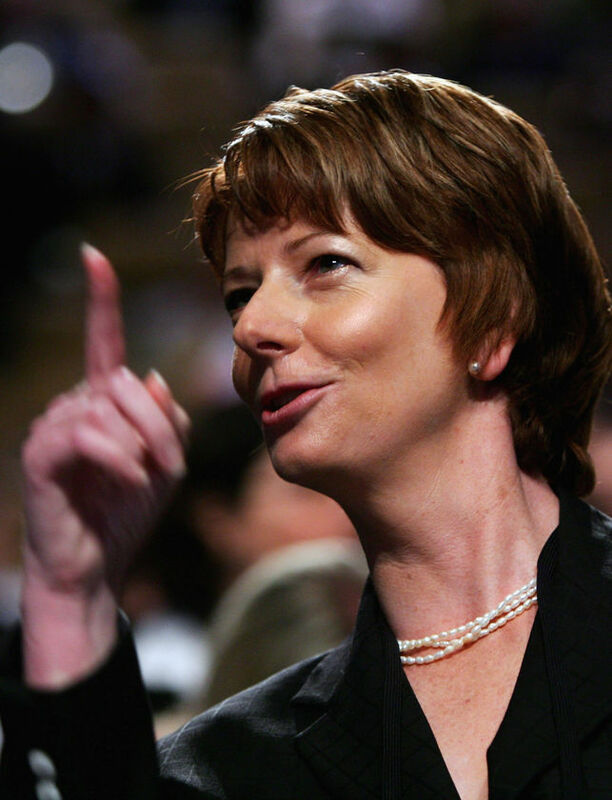 As every media outlet cannot tire of telling us, today is the first day in Australia’s history when we will have a female (acting) Prime Minister, and as they are equally quick to reassure us, it’s only going to be for 60 hours, as Julia Gillard becomes the Acting PM while PM Kevin Rudd is off to Bali for the UN Climate Conference. She seems very aware of the symbolic importance of the moment, while also slightly bemused by the fuss. I was glad to see the Sunrise team’s approach. Fluffy breakfast TV it may be, but they have promised to name and shame any newspaper that focusses on her hair or clothes during this period. Onya Kochie. ‹ Ten-year-olds aren’t “asking for it”, Judge. Deadset, Kochie said that. That’s great. ‘during this period’ of her acting Prime Ministership? or ‘during this period’ of her being the Deputy Prime Minister for the next three years (at least)? Sadly I think you have been very sharp in catching that it’s only during her acting PMship. Not so much for the next 3 years.